Colsentà Serre Prosecco Valdobbiadene DOCG NV | Wine Splash! 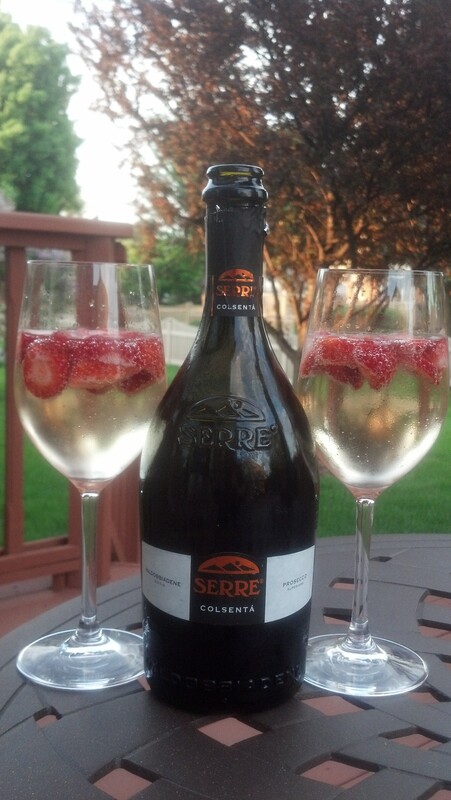 On balmy, warm evenings, my thoughts turn to a refreshing, dry Prosecco. (yes, I dream of world peace too, but tonight it is all about taste). Beautiful straw color in my glass with light effervescent bubbles. Intoxicating aroma’s of peach, apple, and lilac flowers! Medium bodied with lively bubbles and a soft mouthfeel. Savory flavors of tropical fruit, Bartlett Pear, and ripe peach. On the second sip, more bright fruit came out with a hint of banana and an elegant minerality on the finish. Dry but definitely fruit forward with a long, refreshing finish. Add your favorite fruit like strawberry, raspberry, peach, or blueberry into your glass for a fun and flavorful concoction! A great wine as an aperitif with mild cheeses or shrimp cocktail. 89 Points! WineSplashing! !